Since each store is franchised, it is up to the owner if he/she offers a discount. 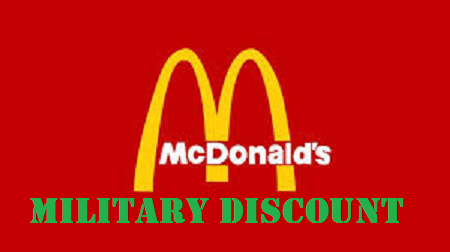 Here in Colorado Springs (the Monument McDonalds), the discount is 10%, but after searching the internet a popular discount is 15% also. Make sure to ask next time your lovin' it. In the past I've also received 10% off at various Burger King, Arby's and other fast food restaurants.